According to a tweet from Venezuelan President Nicolas Maduro, the country’s oil-backed Petro cryptocurrency has raised $735 million on its first day. Sales of the highly controversial token began on Tuesday with deeply discounted sales (as much as 60%) to select investors. A larger-scale public sale slated for next month. If true, the launch would make the Petro the most successful ICO in history, and a useful case study for future state-sponsored cryptocurrencies. Speaking on state television, Maduro said that the launch of the Petro was a “giant step into the 21st Century” for Venezuela, putting the country on “the world’s technological vanguard.” Maduro also presented the token as a kind of economic kryptonite that would allow his country to “take on Superman,” a thinly veiled reference to U.S. sanctions. Skeptics note that no details have been released about the token’s initial wave of buyers, and Maduro has yet to present any evidence that such sales actually took place. Given the increasingly desperate economic situation in Venezuela — the IMF expects inflation in the country to hit 13,000 percent this year — many experts believe the Petro to be little more than a desperation move from a failing socialist government. Critics of the Petro include the U.S. Treasury Department, which has repeatedly expressed concern that the token was specifically invented to subvert recent U.S. sanctions on the sale of Venezuelan debt. There is some reason to take Maduro’s claim at face value, however, as the claimed amount is relatively small in terms of oil investment. Given the potential appeal of an alternative settlement model that exists outside of the U.S.-backed “petrodollar” system, and growing interest in the concept from sanction-prone countries like Russia and Iran, the Petro could easily have multi-billion dollar appeal. Maduro’s cryptocurrency team has previously stated a goal of raising some $6 billion from the sale of 100 million Petro tokens, mostly to investors from the U.S., Europe, Turkey, and Qatar. 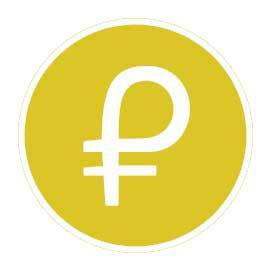 If Maduro’s claims prove to be true, the Petro token would be 33rd largest cryptocurrency by market cap, making it just slightly more economically relevant than Dogecoin. Unlike many crypto tokens, however, the Petro is backed by real-world oil reserves — at least in principle — at a 1-to-1 ratio. At current crude oil prices of $61 per barrel, the Petro would have a potential market cap of $6.1 billion, exceeding Maduro’s estimates. This would place the Petro roughly between the valuations of Stellar ($7.2 billion) and DASH ($5.3 billion) — neither of which have state support or the backing of a real-world commodity — easily placing it in the top 10 tokens by market cap.